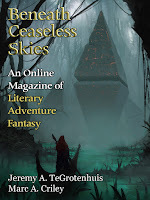 "Shattered Hand," by Marc Criley [bio] (edited by Scott H. Andrews), appeared in Beneath Ceaseless Skies issue 258, published on August 9, 2018. Pro: It’s quite the battle scene there at the end! Kayta and Tsimmit’s victory comes at a terrible price. To recap: Kayta sacrificed her hands to get access to Charx’s realm, but she did it in a way that let her control her hand. When Charx incorporated it, it allowed her to destroy Charx from the inside—provided Charx couldn’t kill her first. 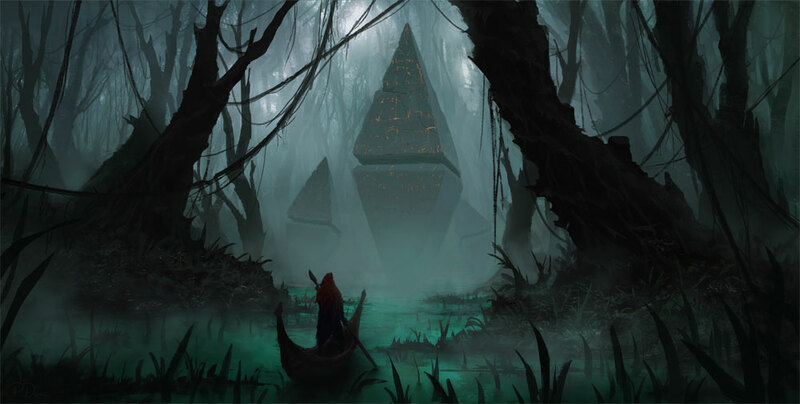 Charx had offered immortality to select members of their society but in exchange for them mutilating many of their young. His threat to destroy their world if they ever broke the deal made it necessary for someone to kill him outright—not just drive him off. The mixed society of humans and giant beetles (I think) is quite interesting. I’d love to see more in this setting. Con: It’s not quite clear entirely what happened here. How did Kayta control her hand? And, at the end, why are Gunion and Marin still alive if their immortality has worn off? It feels like there’s meant to be a deeper meaning to this, but I don’t quite see it.